Instructions: Card Base is 6x7" on white card. Cut turquoise blue paper from collection measuring 6x7". Then a white card 5.75 x 6.75" and finally a pattern paper 5.5 x 6.5". Distress edges If you like and adhere together. Stamp the butterfly on canson water color paper using viridian archival ink, let dry prior to coloring. I let mine dry and even heat set and I noticed the color took on the color of the zig pens. I really liked this effect and continued to color as I thought it made the butterfly have a more water color effect. Let this dry and when dry go over with the wink of stella, I even added some drops of Nuvo clear for added dimension and detail on the wings. Stamp and cut 2 sets of the largest of the smaller peony flower and one of the smallest peony flowers using coffee archival ink on white card. Stamp and cut out three large classic rose and two medium sets of classic rose, also using archival coffee ink on white card. 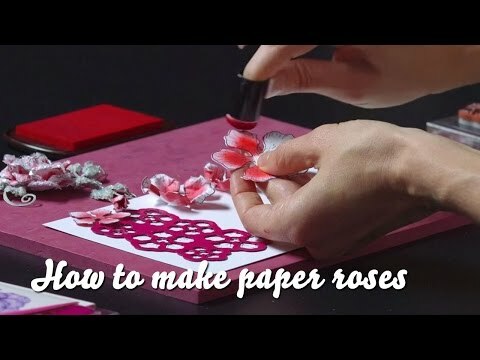 Form one rose flower and two larger buds using the deluxe flower shaping kit. Form one large peony fillers and three small peony fillers. 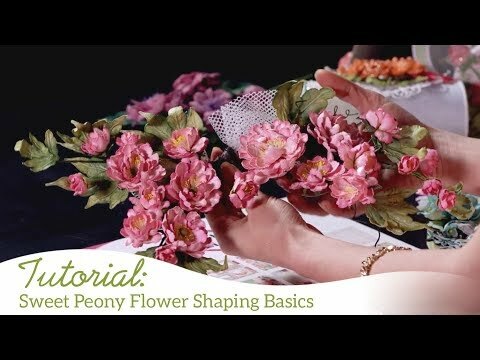 I used 5mm foam buds for the centers on the peony. And the pearl stamens for the small fillers. I used the sunflower die and cut it on green cardstock and used this as bases for my rose buds to help them look more realistic. Cut and stamp 3 sets of the class rose vine on white card using coffee archival ink, color with leaf green and fern green archival inks. Cut and stamp two of the medium size leaves from the large peony set using coffee archival ink on white cardstock, color the same as the classic rose vines. Assemble your card as shown, detail with crystal clear powder.